ATTICA — Colonel Crawford will be at home Friday against Bucyrus (0-5, 0-3). Bucyrus lost last week to conference rival Mohawk 39-14. 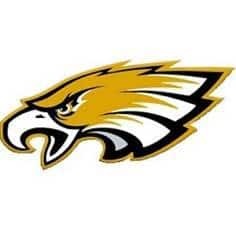 For the second week in a row, the Eagles dropped a tough battle to an undefeated Northern 10 Conference foe, 42-28 to Seneca East, falling to 3-2 overall and 2-2 in N-10 play. With the victory, the Tigers remain undefeated (5-0, 4-0) and atop the conference alongside the Wynford Royals (5-0, 4-0). In an offensive slugfest, the Eagles amassed 461 total yards in their loss to the Tigers. Most of that yardage — 237 yards — came from Blake Treisch, who ran the ball 31 times and scored two touchdowns. Trevor Shawber added 132 yards rushing on 21 carries with one touchdown and and quarberback Hayden Bute rushed for 25 yards on four carries. Bute was 4-9 passing for 67 yards and threw one interception. Kaleb Landin had two catches for 27 yards on the night including a short touchdown pass from Bute. Spencer Mutchler scored the rest of the Eagles’ points on an extra point and a 23-yard field goal. The Eagles defense allowed a total of 481 yards on the night. Seneca East had 249 yards rushing yards which lead to four touchdowns. The quarterback for the Tigers, Brennan Martin had 16 completions for 232 yards to go with two passing TDs. Colonel Crawford let 25-21 at the break, but was outscored 21-3 after halftime.